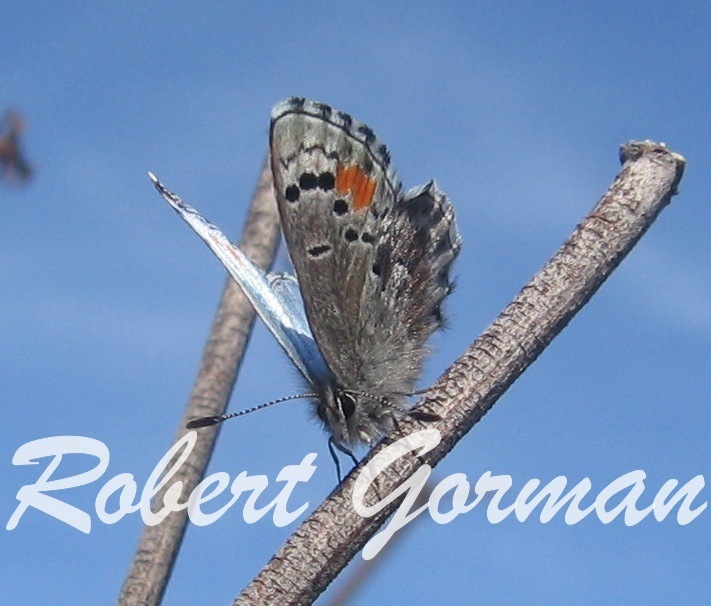 Identification: Our only blue with red spots on forewing. 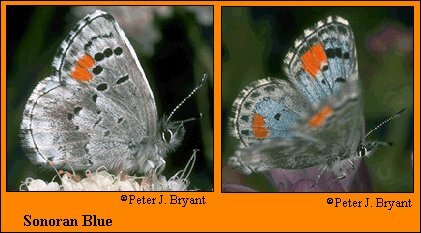 Upperside silvery blue; forewing of both sexes with red spots at outer margin; hindwing of female also with red spots. Life History: Males patrol with a weak flight near the host plant for females. 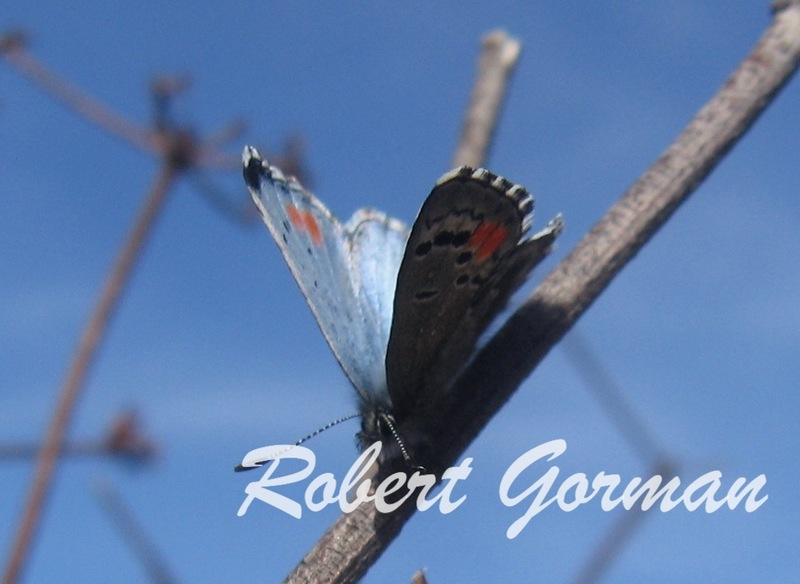 Eggs are laid singly on the leaves, and caterpillars bore into them to feed. Chrysalids hibernate under stones. Flight: One flight from February-March. Caterpillar Hosts: Stonecrop (Dudleya species) in the Crassulaceae family. Habitat: Rocky washes, outcrops, and cliffs in desert. Range: Very local. Placer County, California west to Santa Clara County; along coast through southern California to Baja California. Conservation: Subspecies extinctis occurred in the upper San Gabriel river wash in southern California, but has been extinct since 1968 when its habitat was destroyed. Management Needs: Protect colonies from habitat modification.